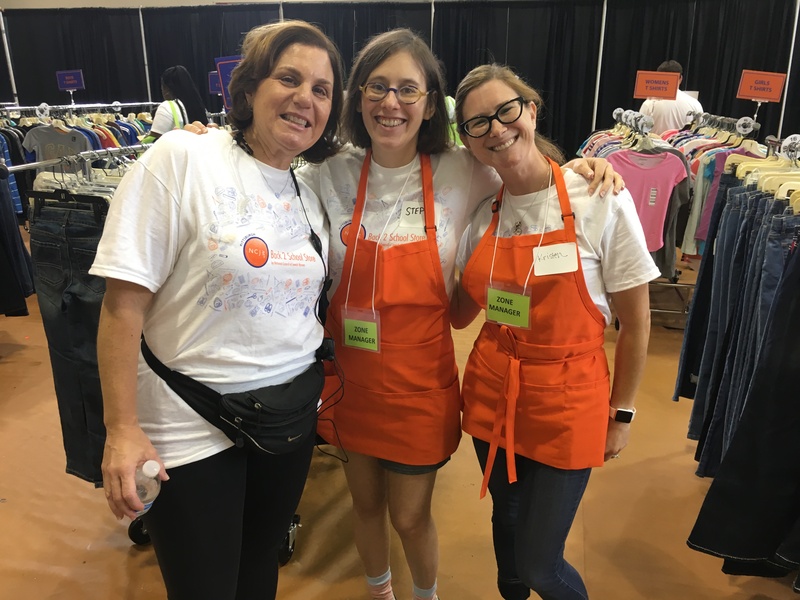 For the fourth consecutive year, National Council of Jewish Women – Pittsburgh Section (NCJW) hosted its annual Back 2 School Store on at The Kingsley Center in East Liberty. More than 600 elementary school children, grades K-5, shopped with volunteers for new and brand-name clothing, backpacks, school supplies and other items for the upcoming school year. NCJW wanted the event to help provide a fun back to school experience for children, which will get them excited about the new school year, as well as raise awareness of the struggle under-resourced families may face at this time of year. Underprivileged children were identified by area service agencies and referred to NCJW to participate in the event. Children were paired with volunteer personal shoppers, who helped them shop and select brand new back-to-school outfits. Racks were filled with new clothes purchased by NCJW volunteers who shopped retail sales all year long, and donated by retailers like American Eagle. Children were also able to shop from a selection of winter coats donated by PIttsburgh Firefighters IAFF Local No.1 Firehouse, who was also on hand to fit the children for their coats. Little’s Shoes of Squirrel Hill was also on hand to fit children with new back-to-school shoes, given to NCJW at a deep discount. While children shopped, parents visited the NCJW Resource Room to connect with local organizations and agencies providing assistance and referrals related to healthcare, parenting, financial literacy, career services and other social services. NCJW’s Back to School Store was made possible with support from The Philip Chosky Charitable & Educational Foundation, The Grable Foundation, The Jack Buncher Foundation, Giant Eagle, and Huntington Bank, as well as individual donors. Last year’s Back 2 School Store served 614 children and 300 volunteers donated their time to the event. education and opportunities. For more information, visit www.ncjwpgh.org .